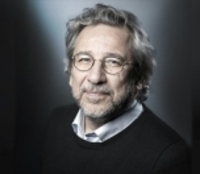 Journalist Can Dündar has released a written statement regarding the arrest warrant issued for him for "taking active part in Gezi Park protests in 2013." Emphasizing that it has been the fifth arrest warrant that has been issued for him after the Özgür Gündem trial, the speech of peace that he made in Diyarbakır, MİT Trucks case and the Cumhuriyet newspaper case, Can Dündar has said, "I defend all of them with pride." "I defend all of them with pride"
"In the past, when a burglar was caught in a neighborhood, they held this burglar responsible for all burglaries in torture. Now, since they cannot do anything about the real burglar, they are trying to hold me responsible for all activities that they are afraid of. All of the charges brought against me fall within the scope of freedom of expression and freedom of press." "Yes, I went to the Özgür Gündem, which was under pressure, for solidarity. "Yes, I mentioned peace in Diyarbakır. "Yes, I uncovered that the National Intelligence Agency (MİT) committed an international offense by smuggling weapons to a neighbor country. "Yes, I was the Editor-in-Chief of Cumhuriyet newspaper. "Yes, I viewed Gezi as the biggest and most peaceful resistance in history of Turkey, I joined the revolt of millions and supported them with my pen. "I defend all of them with pride. "But, can the AKP (Justice and Development Party) defend closing the Özgür Gündem newspaper, undermining peace, sending weapons to the ones beheading people in Syria, taking over Cumhuriyet newspaper, giving fire order to the police during Gezi and claiming the lives of seven young people? "The reason for the investigations, arrest warrants, threats and smears about us is not that we have committed any crimes, but because we have asked the right questions, not surrendered before oppression, not remained silent no matter what they have done and not given up on struggle. "And that struggle will continue until the day when arrest warrants are issued for the real culprits."